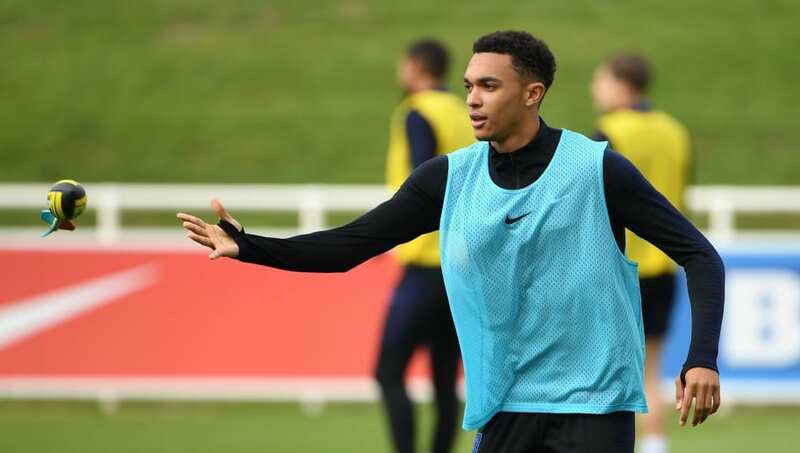 ​Liverpool defender Trent Alexander-Arnold has pulled out of England's squad ahead of their opening Euro 2020 qualification matches, after suffering a reoccurrence of a back injury. Given that the squad already boasts Kieran Trippier and Kyle Walker in the right full back positions, Southgate is perhaps unlikely to call-up a replacement. However, there has been an outcry on social media for ​Crystal Palace defender Aaron Wan Bissaka to be given the nod, after excelling for Roy Hodgson's Eagles so far this season. In other news, ​Liverpool ace Sadio Mané has delighted Reds fans by giving the thumbs down to a fan banner suggesting Kalidou Koulibaly should join ​Manchester United in the summer. In video that's been doing the round on social media, Mané (after an international match) looked less than impressed with the idea of his Senegal teammate joining the Red Devils.